Choosing a classic car to restore is often an emotional decision rather than a financially calculated one. Most of the time you buy with your heart, not your head. However, it is always good to look at your options carefully, which will increase the chance you’ll choose the right classic to restore. 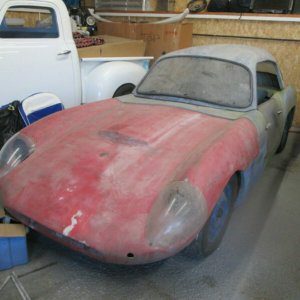 A classic car restoration project offers the average enthusiast a route to owning their dream car. Ideally without having to initially spend a small fortune in the process. We’ve all heard about the high end and rare classic that sell for many millions, from Ferrari to Jaguar and Bugatti and other such great names. Some blue chip classics have enjoyed staggering 457% growth in the last decade. This puts most classics out of the reach of the average person. But you can still find a cool classic car that doesn’t break the bank, if you look carefully. Despite the massive growth in value of the classic market as a whole, a classic restoration project still represents good value, if you do your homework and make the right choices. The amount of classic cars on the market is never going to increase; in fact, the classics available now are only going to reduce in number as the years roll on. It is very much a supply and demand market, which helps dictate the price we pay for our classics. Below are some top tips to ensure you increase your chances of being successful and finding the right classic for you. A restoration project will require a serious commitment of both time, money and emotional energy. 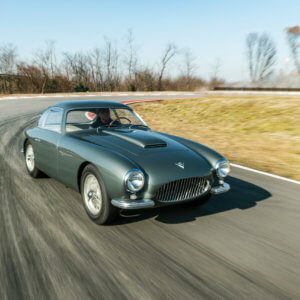 While most restorers’ main interest lies in enjoying the vehicle once it is completed, the romanticised aspects of a car restoration are often so much sweeter when accompanied by the bonus of financial gain. It is the satisfaction of working on a car that ultimately brings a lot of reward. But if there is a financial reward as well, then the effort is all that bit sweeter. Most restorers dream of sunny days spent cruising a nice road. Selling your classic project may well be the furthest from your mind. But a successful and carefully managed restoration can be financially rewarding, which could unlock funds for moving on to a another project. Not every decision has to based on financial considerations, but having a good general awareness of the market, especially surrounding the marque and model you are interested in, can help you to make some astute decisions. If there is scope for potential appreciation, it is both a reward for your time and effort. Knowing you’ve made a good investment is peace of mind as well. Research no longer means trawling through old editions of classic car magazines. There are loads of forums and groups you can join that are full of threads of others restoration projects. These can provide an invaluable insight into the process others went through, including unforeseen expenses and potential pitfalls. They are also a great place to post questions and make contacts that will help with your restoration. Some companies even sponsor the forums and offer users discounts, such as free shipping or tyres with free fitting. This can save you a huge amount of money. A lack of replacement parts can bring your project to a complete stop. If the parts are unavailable, you will have to get them made at great cost. Having the right connections can offset this and save you time and money in the long run. If you’re picturing a bare car chassis on jacks in your garage, then it might be worth altering your expectations, especially if this is your first project. While it can be great to build a car from the ground up, the less you have to do the sooner you can start enjoying the vehicle. A car in slightly better condition will require a smaller time commitment and potentially cost less to restore. Also it is wise to choose a vehicle with a minimum amount of rust. A completely rust free restoration project will be hard to find. We are talking about classic cars after all. However selecting one with excessive rust can add considerable cost and time to your project, making your dream car uneconomical to repair. A small amount of rust can be managed, but too much and you could be months and months into seemingly endless body work. While the time commitment required to successfully complete a classic car restoration is considerable, the reward at the end can be a feeling of immense satisfaction, financial gain, and countless hours of enjoyment. There is also the pride in knowing that you’ve saved another classic car and preserved it for future generation. And this is a feeling that is hard to beat! Pingback:	Is is ever ok to scrap a classic car?